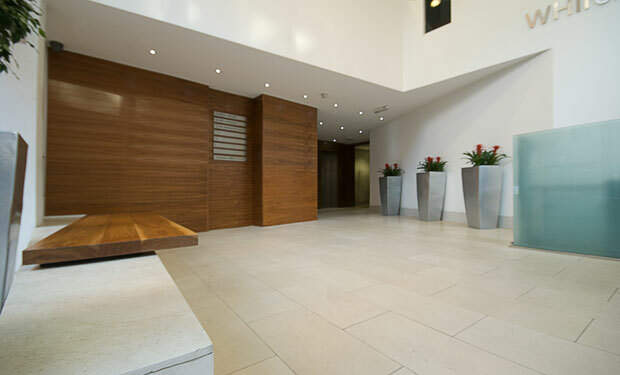 WH Ireland Group plc is located on St James Square in the heart of Manchester city centre. This substantial office complex has a very prominent entrance directly on to the main road. In order to create a calm and sophisticated aesthetic to welcome visitors the finest Goss honed Apollo limestone has been used. This light and airy shade of stone contrasts with the cherry wood panelling and adds brightness to the double height atrium.